Many people had their heart set on Wentworth Miller. Why won't they? He is an irresistible blue-eyed hunk, the genius escapee from the Prison Break series. But sadly girls, he is not yours to take. Why? Even though Wentworth Miller has been very secretive about his private life, there were rumors about him dating a Canadian hunk. The 46-year-old actor rose to prominence after his lead role as Michael Scofield in the Prison Series. Let's get a closer look at the rumors and find out who is the mystery man he is dating? I’m not gay, but that rumor can’t be killed. I’m cool with the fact that they exist, I mean this is about fantasy. He further added that he wanted a wife for him. Rumors about him dating Mariana Klaveno were also all over the internet. Probably it was just a cover, fearing the truth might jeopardize his acting career. The flash actor was right in some way, though. For years, when the British-American actor was done with the fourth season of Prison Break, he came out publicly as gay. Moreover, he made sure that no one is confused about his sexual preference by rejecting an invitation from St. Petersburg Film Festival in 2013. Miller even made an effort to write a letter jotting his exact thoughts. The letter read, that although he wanted to visit Russia as a gay man, he must decline. Because Russia had passed series of laws against LGBT community, not good news for LGBT residing in Russia. Okay, we respect Miller's brave decision coming out as gay but who did he choose as his boyfriend? We want to know. But onscreen Mr. Captain Cold never revealed his date himself. His name was linked to various actors, the first one being Luke Macfarlane, the one from Canada. If rumors are believed, then they dated back in 2007 but broke up after a year. 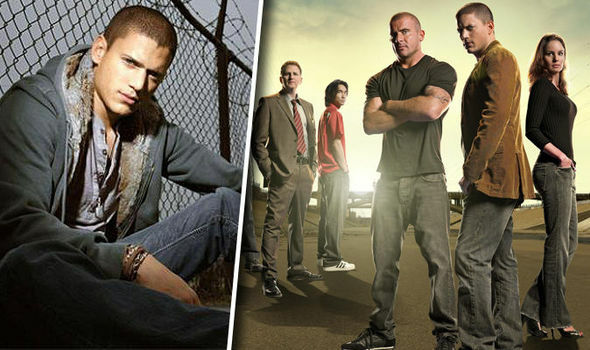 The next star Wentworth dated was Mark Liddell but neither confirmed the rumors regarding their relationship. There is no evidence not even on his social media sites. So even if the duo is still together or not we do not know. Well another gay Broadway actor, Kristoffer Cusick was also talked about dating Miller in 2006 but not sure. No surprise, Wentworth is a master at hiding secrets but we don't see any reasons for hiding who you are dating. Nevertheless, it's Wentworth Miller's life and like everyone, he has also right to privacy, right?